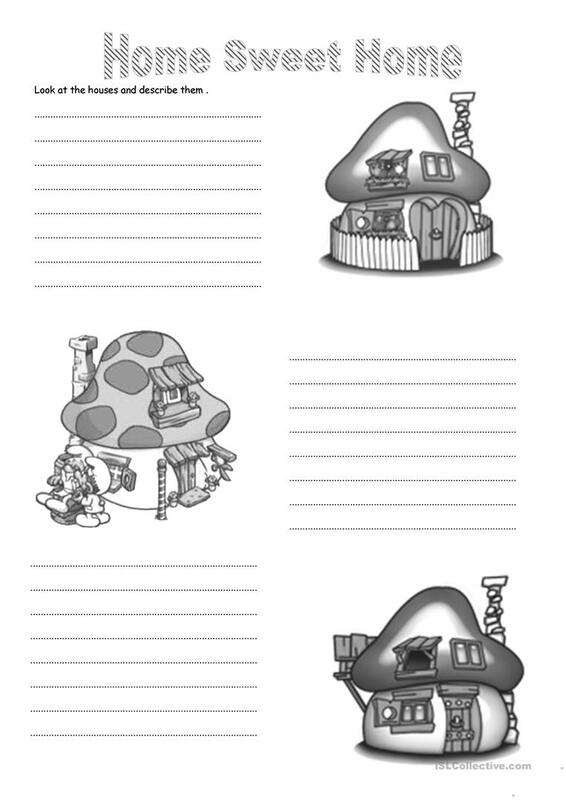 B&W ws.Picture description to check parts of the house.Sts can talk about them too. The present printable, downloadable handout is a great resource for high school students, elementary school students and students with special educational needs, learning difficulties, e.g. dyslexia at Beginner (pre-A1), Elementary (A1) and Pre-intermediate (A2) level. It is a useful material for practising Nouns in English, and was designed for enhancing your class' Speaking and Writing skills. It centers around the vocabulary topic of Home.